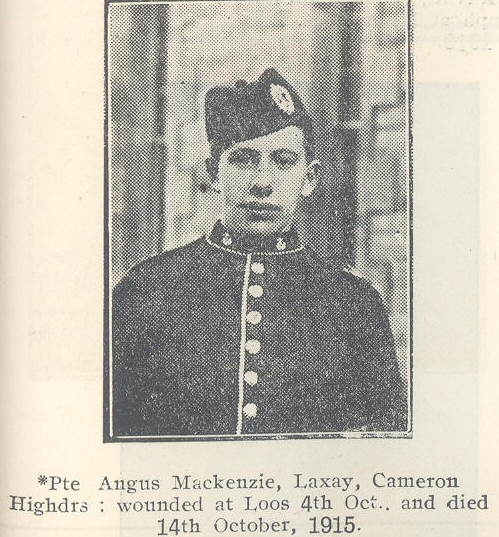 Died of wounds sustained at Loos 10 days earlier. Interred: Choques Military Cemetery, Pas-de-Calais, grave I. G. 38. Angus was one of the children of John (1853) and Christina (1856), the others being Dolina (1886), John Duncan (1898), Margaret (1888), Mary (1893) and an unnamed infant who only lived for 8 days in 1891.